While navigating the cluttered spaces of growing cities is becoming ever more complicated, web and mobile journey planners promise to help stranded urban travellers find better, optimal transportation. Yet, the growing array of different systems are far from perfect and while many contain valuable components, others are missing elements that would make them invaluable to travelers. In this article originally published in April 2014 issue of Geoconnexion magazine, Intetics GIS analysts investigate 35 journey planning systems from around the world to identify which features make the best journey planners. Big data is everywhere, but how are companies actually using it? Whether you want it to or not, the tech world is transitioning into a data-driven age. With these changes new technologies are taking hold, and companies are finding new and exciting ways to implement ideas and bring innovation to their businesses. 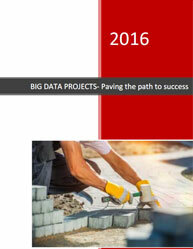 This presentation brings forth the most transformative and pressing ideas for managing big data. 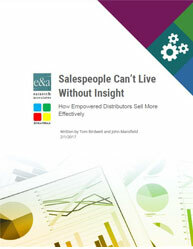 It explores how technology transforms business and how data is helping drive the change. The focus is on real-life examples of how companies are implementing location-based services, Internet of Things, and omni-channel systems technologies and what benefits these technologies are bringing. The advent of open‐source technologies fueled big data initiatives with the intent to materialize new business models. The goal of big data projects often revolves around solving problems in addition to helping drive ROI and value across a business unit or entire organization. It’s often difficult to launch a big data project quickly due to competing business priorities; the myriad of technology choices available as well as, the sheer size, volume, and velocity of data. Key questions from this whitepaper: What are the common questions and challenges that the operators are facing when starting a Big Data project? What are the best practices to avoid being trapped in the ever‐lasting big data project that fails to generate any revenue? Should the big data project be carried out by the IT department or should it be led by a dedicated organization, under a new function like a Chief Data Officer, distinct from traditional IT? Can High Volume and Velocity Big Data Applications Run Successfully on a Cloud Platform? Some of the world’s largest companies are mothballing their behemoth in-house applications running on massively parallel processing databases in favor of cloud platforms. Whether on premise or off, you need to align the right set of skills when deploying big data in the cloud. Read this executive briefing whitepaper to see real-world examples of the technologies and platforms that are being deployed on cloud platforms. 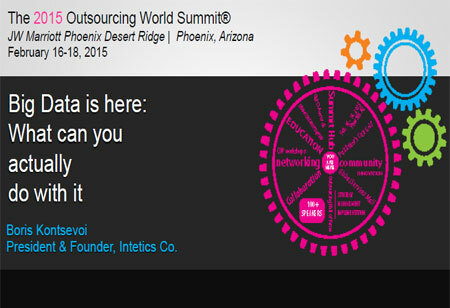 It’s highlights: What skills do you need in deploying big data in the cloud? What is a data lake? What are some of the technologies being used in near- and real-time large-scale cloud applications? Have you identified Business Intelligence and Analysis as an important investment? 90% of survey report states Business intelligence as a prevalent tool to improve business. XoomWorks, an expert in Business Intelligence and Analytics gave a statistic report on how Business Intelligence, Data Management and Data Security remain a high priority for large enterprises. 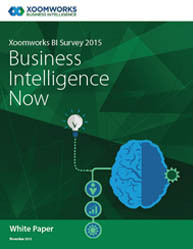 Based on survey done by XoomWorks:What are the main reasons for Business Intelligence project failures? Data quality, Data governance, performance, user adoption change management and lack of skills, which tools to be used, are the main causes for project failures. Has your company identified Dashboards and Story boards as an important investment? How important is the control over access to sensitive data to your organization? This white paper gives a deep insight on proper methodology and business intelligence strategies including: Business Intelligence Tool Selection Management Information ,Business Intelligence Competence Centres, Centres of Excellence How Database Governance and Data Security is an important investment to lead in Business Intelligence? Download this white paper to learn more about trending Business Intelligence issues and implemention of self-service technologies to ensure high quality data which results creating a visual thinking culture. Why You Should Use intelligent Video Analytics platform?? An intelligent video analytics platform can help you to handle massive amounts of video or image input data and produce results in real time. The complex process of converting unstructured video data to a structured visual realization in a parallel context can be done with Big Data Video Analytics easily. So would you like to employ an intelligent big data video analytic tool and cloud based platforms to scale up the computer vision algorithms? If Yes! Read this whitepaper that gives you a brief insight of video analytics platform for big data for better business intelligence. Why intelligent video analytics platform will be the next big thing in big data? Why intelligent video analytics platform is the most untapped source of data? What are benefits of implementing intelligent video analytics platform? How to select the best platform for performing Video Analytics? How to handle Video Processing with Big Data Tools? Business Intelligence - Does Your Organization Need It? Business Intelligence derived Information and analysis can lead to a tremendous return on investment (ROI) if implemented correctly. You can improve the decision making processes at all levels of management and improve your tactical and strategic management processes with it. Do you have quick access to actionable data? Would you like to increase collaboration and unlock insights from your business systems? If yes! Read this whitepaper that addresses the following questions: What is Business Intelligence and why do organizations need it? Is it the right time to implement Business Intelligence for your organization? How to select the correct Business Intelligence solution for your business needs? With technologies like Customer 360 and Mobile Device Management (MDM), you can obtain an accurate assessment of customers by extracting customer details from all possible data sources. Customer data management is becoming more complex than ever. Hence, it is recommended to choose the right technology for the most comprehensive view of the customer and to integrate the data within the various technologies. 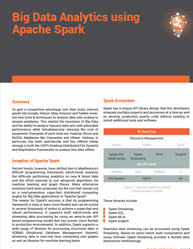 Read more about MDM and Customer 360 in this report that includes: 1. 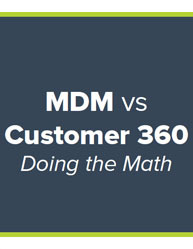 The Purpose of MDM and Customer 360. 2. The Benefits of Customer 360. 3. The biggest challenges in developing a 360-degree view of the customer. 4. The Challenges of Unstructured Interaction Data.